The first known depiction of a motorcycle celebrates a demonstration of a steam-powered ‘drais’ (pedal-less bicycle) in the Luxembourg Gardens of Paris, on April 3, 1818. 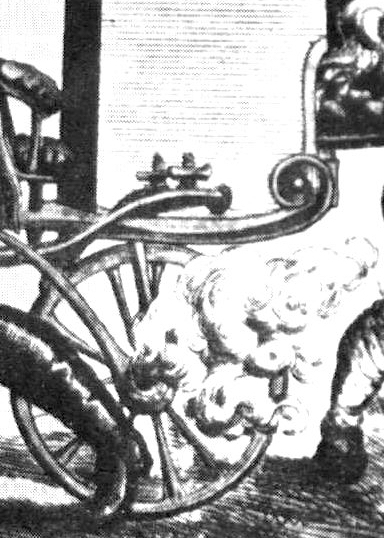 The contraption, dubbed a Vélocipédraisiavaporianna (steam-powered drais), is depicted in a period lithograph, with minimal text explanation, nor even the name of its German builder. 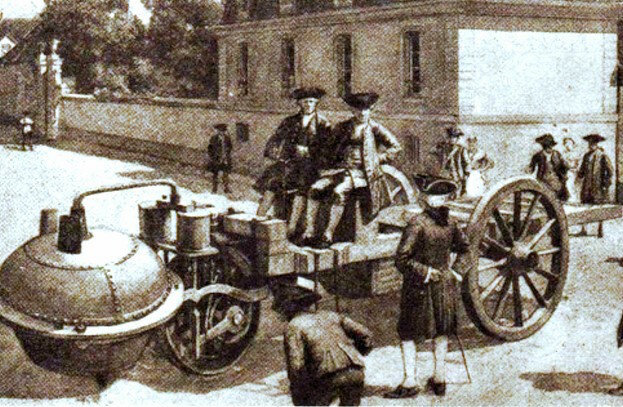 Some historians consider the lithograph a joke, as no other documentation of this event has been unearthed to date, but the context of the drawing, and its technical details, suggest it was certainly possible, and it would not have been the first steam-powered vehicle in Paris in that era. 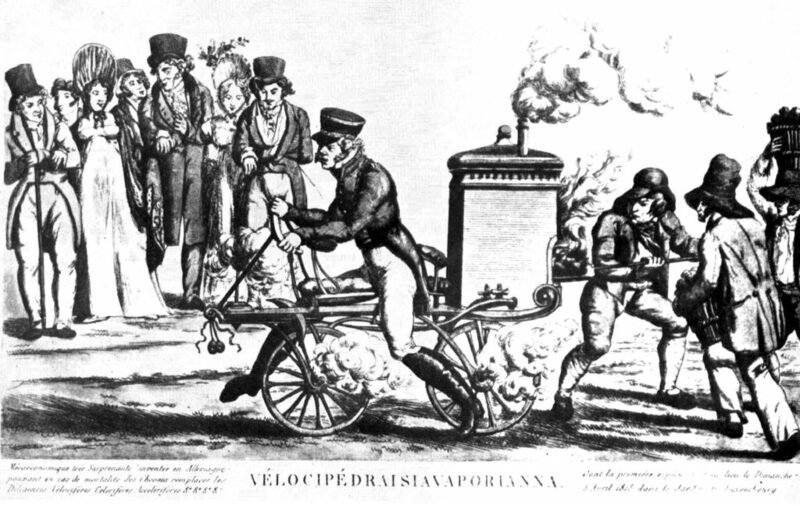 What’s widely acknowledged as the world’s first self-propelled vehicle was a steam trike built in 1770. Nicolas-Joseph Cugnot built his ‘Fardier a vapeur’ (steam cart) after several years of experiments with models, including a smaller version of his Fardier built in 1769 as a proof-of-concept. The question of how to translate the pushing power of a steam jet into forward motion had yet to be addressed, even though the power of steam to move objects was first described by Vitruvius in the 1st Century BC. It’s generally agreed that Cugnot was the first to successfully translate the power of steam into mechanical motion, with power enough to carry a passenger. In the 1700s and 1800s, France was truly the land of invention, where the first internal-combustion automobile was built in 1807 by Isaac De Rivaz, and the first internal-combustion boat demonstrated to Napoléon that same year, built by Nicephore Niépce, who was also the inventor of the first fixed photographic process (the Daguerreotype) in 1837. 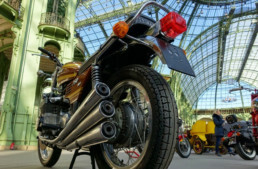 Thus, France is the place one would most likely find a depiction of the first motorcycle, as it was the hotbed of vehicular invention. Of course, an artist might also make fun of this situation! Cugnot’s ‘Fardier á vapéur’ in 1770, built as a military workhorse, and kept intact out of respect that it did indeed work. Cugnot’s original Fardier still exists, and can be visited at the Musée des Arts et Metiers in Paris, where it has sat since 1800. The Revolutionary government of France created this museum to science in 1794 in a deconsecrated church, as part of their rejection of religious dogma in favor of scientific fact in the Age of Enlightenment. The French calendar was changed to a decimal system in 1793 (which lasted 12 years), and the ‘metric’ system of measurements adopted in 1799, which has since become the system of measures used worldwide. The transfer of the Cugnot’s fardier from the National Armory to the Musée in 1800 was part of a continued celebration of science in Revolutionary France that continued under Napoléon when he assumed power in 1804, and beyond. While the anti-monarchist Revolutionary government stripped Cugnot of the royal pension granted him by Louis XV in 1772, Napoléon restored his reputation and pension before Cugnot died in 1804. A replica of Cugnot’s Fardier was built in 2010, and I was privileged to witness it in action that year in Avignon, as seen below in my YouTube video. Thus, steam-powered vehicles had been around for 50 years before our steam drais supposedly appeared, and the technical details on translating steam from a boiler into rotating wheels was understood, even if no particular system was settled on. Cugnot used an inelegant ratchet system in 1769, although the steam piston engine had been invented by Thomas Newcomen in 1712, and vastly improved by James Watt in 1781. Watt’s engine design was efficient and kept the steam in a closed system, which meant a motor could be run reliably without constant attention or constantly varying steam pressure; his design formed the basis of reliable power and electricity supplies which formed the heart of the Industrial Revolution. So, was a crude steam-powered motorcycle built in 1818? 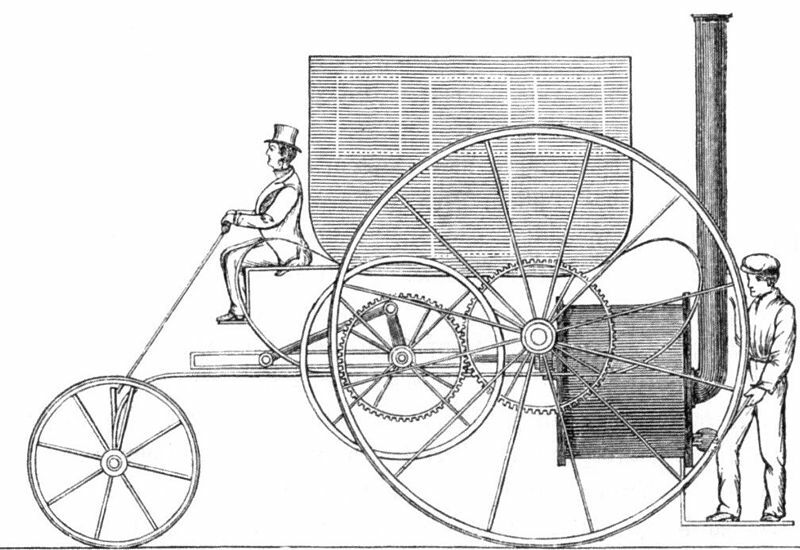 The lithograph notes that the ‘startling machine’ was intended to replace horses, while mocking its builder’s claim of speed, reliability, acceleration, lightness, etc. Obviously this machine was nowhere near a replacement for the horse, but the reference has significance for that historical moment, at the end of a 3-year stretch of severe climate change brought on by the 1815 eruption of Mt Tamboura in Indonesia. 1816 was the ‘year of no summer’, a time of famine in Europe and all of the Northern Hemisphere, as the dust from Tamboura added to dust from the 1814 eruption of Mt Mayon in the Philippines, creating an aerosolized sulfate layer in the stratosphere. The result in Western Europe was food riots in 1816 and ’17, and a significant decrease in the horse population as they became targets for food. Thus the ‘en cas de mortalité des chevaux’ (in case of the death of horses) was a real fear, and a German inventor would be motivated to use current technology to ‘remplacer’ (replace) the horse. Was the lithograph a joke? It’s impossible to say for certain today: there’s enough detail in the drawing to suggest it was a real machine, or that the artist had enough familiarity with steam power to include petcock valves and steam pipes along with the burner/boiler on the machine. No indication is made on how the steam was translated to forward motion; small turbines in the wheel hubs? We simply don’t know. But it’s certain that, at least, the idea of the motorcycle as a powered two-wheeler emerged in 1818. The first known, and still extant, steam motorcycles were built nearly simultaneous in both Paris and Boston in 1869, by Louis-Guillame Perreaux and Sylvester H. Roper, respectively. So, is the motorcycle 200 years old today, or 150 years old next year? 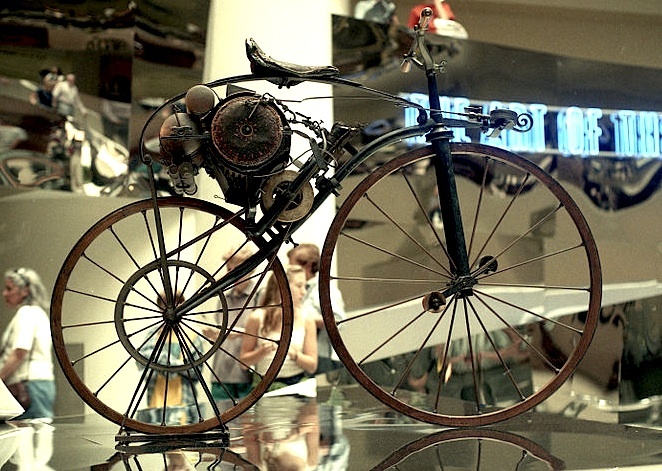 The Michaux-Perreaux steam bicycle of 1869, as seen in ‘The Art of the Motorcycle’ exhbition at the Guggenheim Museum in 1998. Perhaps much like DaVinci, the idea is put down on paper as an “invention,” but actual details and engineering are TBD. I respect Roper as having made the first motorcycle, or maybe that French guy, whats-his-name, but always include steam as the original power source, never discriminate against steam and give the “first” to Daimler. I wholly agree that the Daimler ‘Einspur’ was not a motorcycle; it was never intended to balance on two wheels, and enjoy the miracle of physics of the bicycle chassis. There’s a long debate, led by Kevin Cameron of Cycle World, that steam cycles should not be considered motorcycles because they use a ‘dead-end technology’. I find the argument spurious; it’s a motorcycle if it has a motor and two wheels, end of story. Someday gasoline-power will be the ‘dead-end technology’, so what of our history when all is electric? The first electric bicycle patent is 1895, by Ogden Boulton in the US; will that become the ‘first motorcycle’? somebody to finance their hypothetic research. For example : Galvani create the first galvanometer …who worked properly and accurately after Arsène d’Arsonval upgrade it with the mobile coil. I don’t know if some American ear about the last one. The electric bulb was invented in 3 different country (France very earlier…not usable because the batteries of those times was poor, and people in the mine refuse to use it because they couldn’t see the flame variation in case of gas), later in Czechoslovakia at the same time than in Canada. Generally when an idea is in the air, many people search around. Recently we found that somebody make a usable telephone before Bell…who could afford the patent. Louis Renault was a specialist to take some patents on some systems that others invented without securing them! I wholly agree! Clearly this 1818 invention – if it was real – was not patented and did not work properly, which was why it was mocked in the illustration. 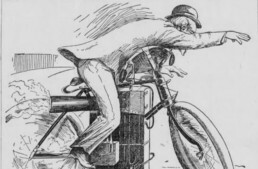 My thought about this lithograph is, ‘why invent a technology only to mock it?’ Perhaps the artist deserves acclaim as the inventor of the motorcycle, in concept! Regarding patents; Louis-Guillame Perreaux patented his small steam cycle in France in 1869, while Sylvester H. Roper did not patent his steam cycle in the US, but it’s thought (even by Jean Bourdache and Francois-Marie Dumas) that Roper built his machine first. 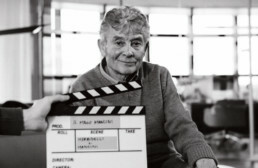 Patenting an invention is very expensive, which often leads to the exploitation of the ingenious by the wealthy, or other ‘firsts’ being ignored with no patent. Roper bike story is completely clear with a lot of public demonstrations who proof that it worked .